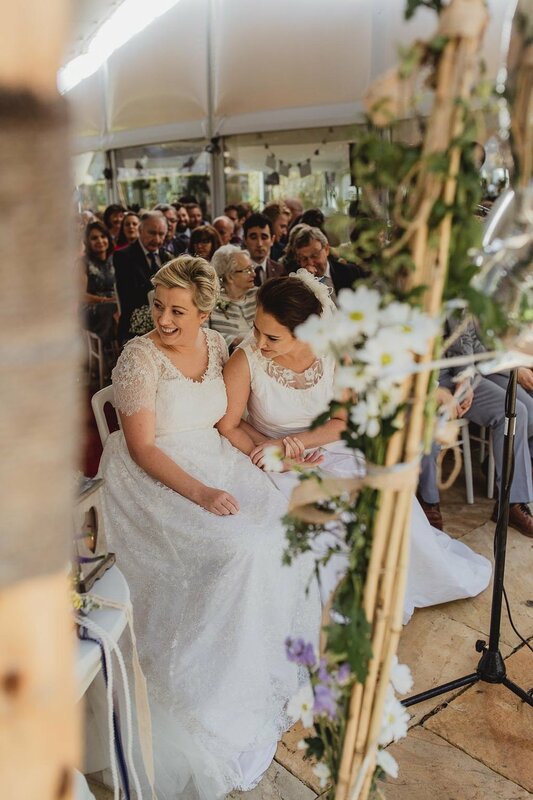 Clodagh and Karen got married last autumn at the fab AnnaCarriga, which is a beautiful marquee in Killaloe. They had their ceremony in the same venue as the reception, which was the perfect setting. They chose AnnaCarriga because they could have the place for the whole weekend and it’s so meaningful to them. 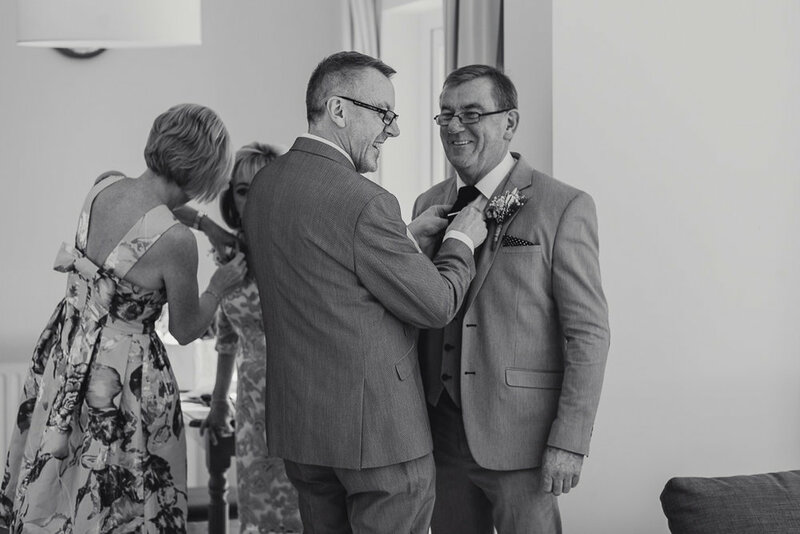 It was a very emotional wedding, which I felt honoured to shoot. I love shooting weddings at AnnaCarriga because the surroundings are absolutely amazing and the light is just incredible. 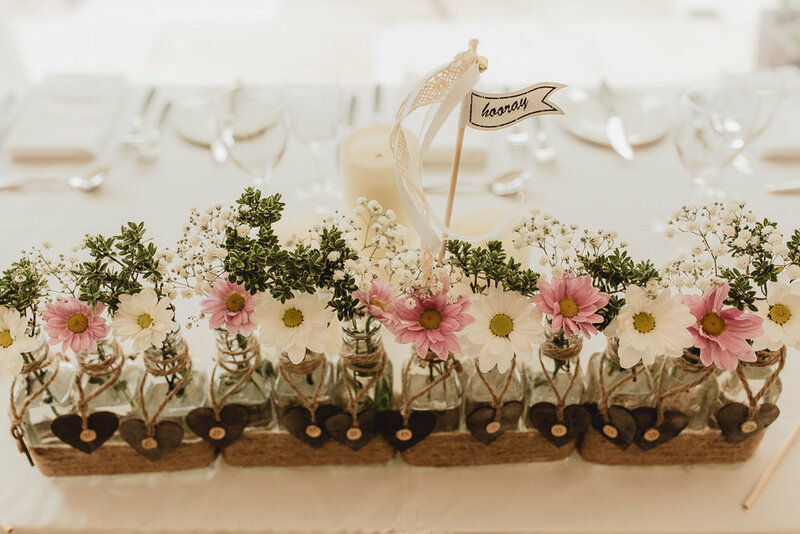 A wedding by the lake is a great opportunity for guests to have a lovely time outside and just relax. 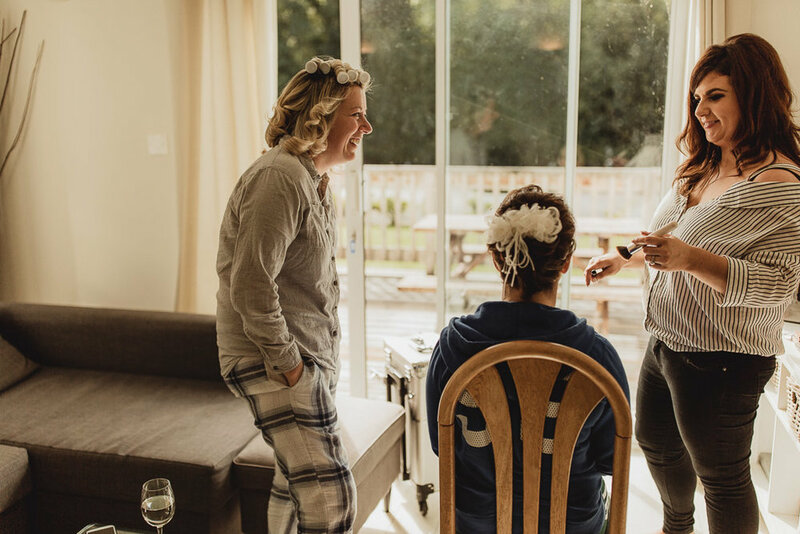 Clodagh got ready in a house in close proximity to the venue with her family and friends and the atmosphere was full of excitement. Karen got ready just next to Clodagh's house also with her family and friends. The couple then walked to the marquee for their ceremony. They both wore dresses handmade by Clodagh's Mum Margaret. The wedding itself was a humanist ceremony by a lake not far from Limerick. During the ceremony the two new brides had everyone sing their favourite song ”Caravan of Love”. It was a beautiful way of involving everyone in the ceremony. The most fun part of the day was when we jumped onto the boat for a photo shoot, because it was so romantic and personal. Karen’s Uncle was our sailor, he’s an experienced boatman and it was great craic. It was very windy so that brought lots of laughter and spontaneity to our photo shoot, we even lost a veil! 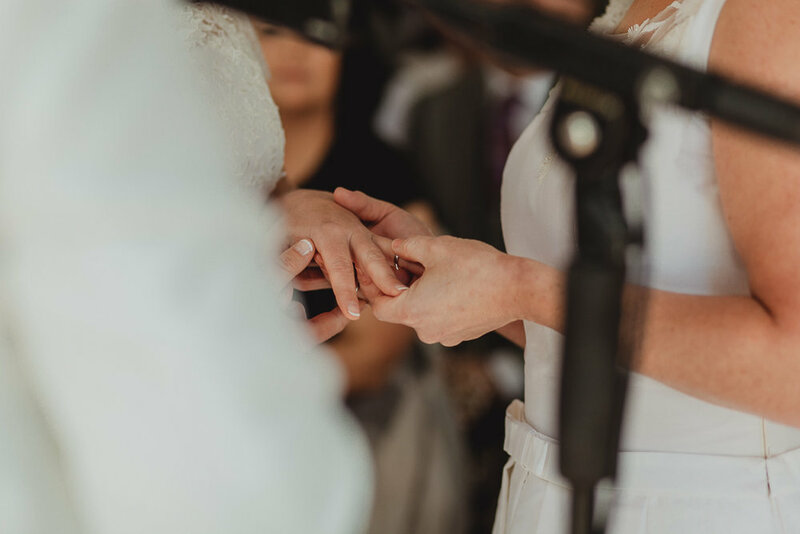 The brides had just said their “I do’s” in front of their cherished family and friends so naturally there was a lot of emotion between them as-well as relief and joy on their faces. The photos from the boat really showed this. 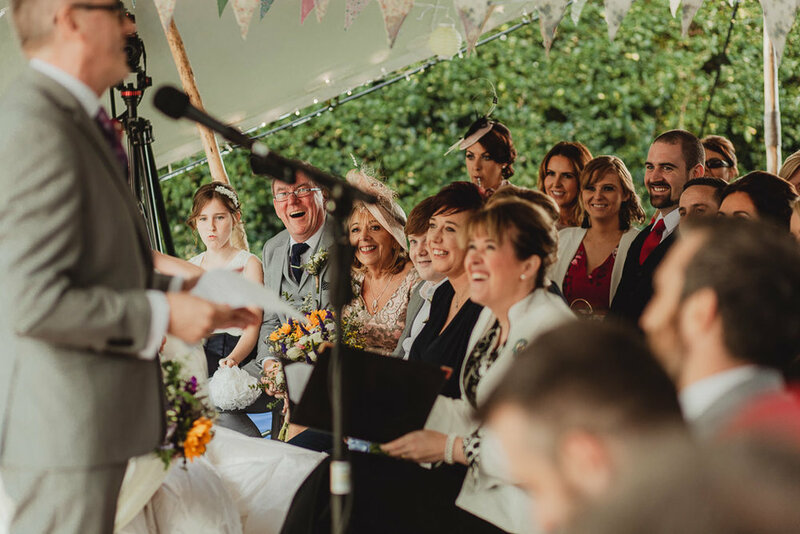 It was a warm day and it couldn’t have gone more perfectly, a marquee, a beautiful venue, a picturesque backdrop, a lake and trip out on the boat, what more could you want !